Have you ever found yourself saying thank you when someone has asked how you are? Have you slowed down walking out of a building because you didn't want to have to say thank you several times. Not sure if you know this person. Not sure if the person remembers you. Scared the person won't say hello back. Just feel a little anxious. Some people call it being awkward, anxious, socially anxious or even odd but it's a struggle for the person living it. You can overthink the simplest of gestures. You can be sitting on the tube and wondering whether you look odd or asking yourself why is the seat beside you is empty and everyone is choosing to sit elsewhere? Anxiety can make you think the darnest things and convince yourself that what you are thinking is true. Parties can be a minefield, small talk is difficult for many people but add anxiety and it can feel like your in a room filled with people who you think are judging you. Are you dancing ok, does this outfit work, am I to sweaty? Do you drink copious amounts of alcohol to attempt to dull your anxiety then wake up the next morning going over and over what happened the night before? Maybe you've decided to stay in, to avoid dealing with anxiety raising situations, but days can turn to weeks and even months if it takes over. With summer coming many people are looking forward to spending more time outside, for the anxious person they might be counting down to autumn again so they can wrap up and hibernate. Anxiety can often be considered the meaner, colder brother of depression and whether you have both or anxiety alone it can feel unbearable. Some find healthy coping mechanisms to deal with their anxiety and some can't. If you're fed up of your anxiety ruining your life then help is at hand. You don't have to live like this. Hiding away helps for a while but with support you might be able to live your life a little fuller, brighter and in the moment. So kick anxiety in the goonies and restart living again. Get the help you need. 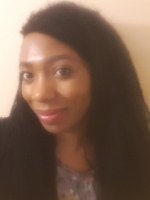 I am Marilyn McKenzie and I am a qualified psychotherapist who has worked with couples, addiction, DV, young offending, grief and bereavement as well as anxiety and depression.